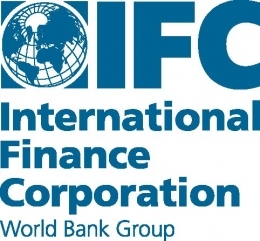 The International Finance Corporation (IFC), the private sector branch of the World Bank Group, has agreed to provide USD 5 million in funds to be used in the completion of a bankable feasibility study for a Tanzania nickel exploitation project in the Dutwa nickel oxide project located in the northern part of the country. According to recent reports, the IFC has officially signed an equity subscription agreement with African Eagle Resources, a UK-incorporated company that discovered the nickel deposits in Dutwa in 2008. The Chief Executive Officer of the African Eagle Resources, Trevor Moss, responded to the signing with enthusiasm and a promise to satisfy all outstanding conditions in order for the funds to be dispersed as soon as possible. “We are pleased to have secured the IFC’s investment through the signature of the final form subscription agreement and are working hard to satisfy the final outstanding conditions so that funds can be disbursed in January 2012 whilst progressing with our bankable feasibility study for Dutwa,” said Mr. Moss. According to reports, the firm is planning to use the ongoing feasibility study, which is scheduled to be completed this year, as a means to secure financing for resource exploitation. In response to the recent signing, the Head of Mining for the IFC, Tom Butler, indicated that that the IFC is pleased to have signed the agreement with Africa Eagle Resources in support of the Dutwa project, which he indicated has a potential to become a major Africa nickel producer. “We look forward to helping and supporting African Eagle Resources to implement the environment and social best practice for its mining activities in Tanzania,” said Mr. Butler. According to a statement that was recently released by the African Eagle Resources, in return for their investment, the IFC will assume a 10 percent stake in the UK-incorporated mining firm. Finally, the recently released statement also indicated that, in following with IFC requirements, the African Eagle has publicly agreed to disclose any material payments to the Tanzanian government. According to Ali Samaje, the Tanzania Commissioner for Minerals, who recently spoke to the East Africa Business Week, the Dutwa Nickel Project is expected to be one of three Tanzania nickel mines that will contribute to the overall growth of the Tanzania economy; the two remaining mines include Ntaka Hill in southern Tanzania and Kabanga in the North West region of the country. Mr. Samaje went on to thank the IFC for its support to the Dutwa project saying that there are many similar projects in the country that are also in need of financial support from interested investors.